After 5 years running the successful MAYA restaurant, in April 2014, we opened a second smaller restaurant in Shanghai, under the MAYA brand, aptly named ‘MAYITA’. As the name suggests the restaurant seats 40-45 people inside and up to 80 people (not so ‘-ita’!) outside on its terrace during the warmer months. The central location with great views to the Bund is on the 6th floor of the Fraser Residence Building at Silver Court on Shouning Lu & Xizang Lu. The food is a similar style to MAYA so the consistent upscale modern Mexican-Californian food you have come to expect which is perfect for sharing with friends. MAYITA’s smaller a la carte menu offers some of our signature dishes as well as other unique dishes done in the same style as MAYA’s food but with some fantastic new additions to the menu. Dishes like the prawn tostaditas with passionfruit & tamarind salsa, guacamole & habanero, the bacon & blue cheese quesadilla with sour cream and the mango & avocado salad. We will also rotate weekly items like soups, tacos & home-made ice creams. Drinks are tequila, rum, cachaca & pisco-based cocktails as well as a select number of standard international, Mexican & craft beers. There is a well-edited compact wine list offering new & largely Latino, Spanish & USA wines. 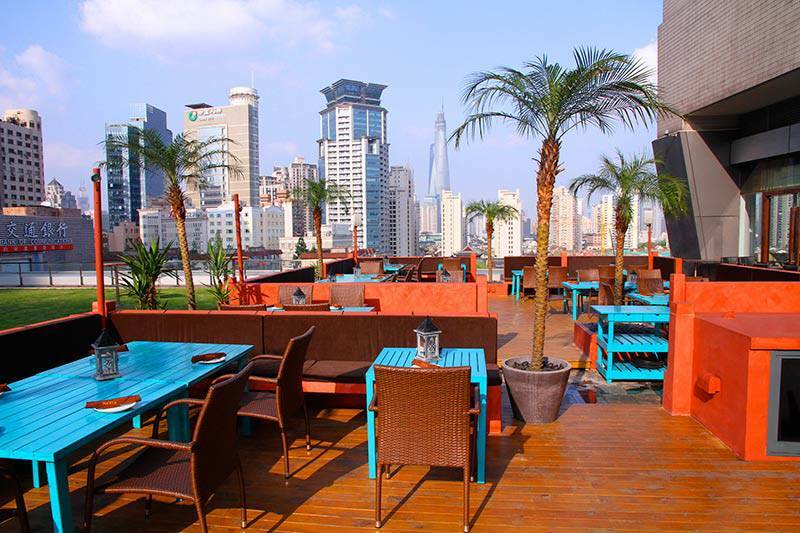 During the warmer months we host a busy terrace with regular events and a large outdoor drinking & eating space which is hard to come by in Shanghai. Look out for Cinco de Mayo & Mexican Independence Day annual parties!! We open for lunch, brunch and dinner every day of the week. Suitable for a date or for business or group gatherings we offer a great atmosphere & great value for money with great views of the Bund, unique in Shanghai! The décor incorporates current MAYA design with natural soft earthy tones, wood in dark and medium browns as well as turquoise & orange touches with some great additional colourful MAYAN artwork, hand -painted by Casey Mull. 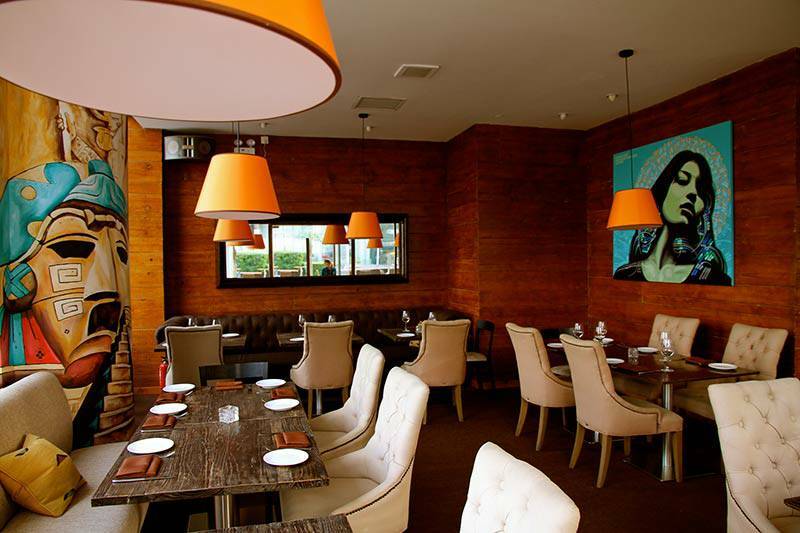 The terrace has a warm Latino terra cotta & natural wood feel to it with banquette seating. We hope to welcome you as regular customers to our cosy & hidden restaurant MAYITA!